The Internet has been growing at unprecedented rates, led to an upsurge in research, development, and investment in web service. There are reasonable arguments that it will continue to grow at this pace for the rest of this decade. Enterprises around the world planted their powerful websites to introduce their businesses and to perform their e-commerce. Ever since Kbytes era, the speed has been the critical factor for the clients to give solid understanding to the company. IT industry has been creating a solution to measure, analyze and improve Web services because they understand that how speed affects the bottom line of businesses. The accurate evaluation of Web service quality starts from downloading individual components from a Web HTML documents like index.html and then measuring the time of constructing the final screen. Currently, most of the browsers support this feature. However, in case of internet shopping malls, streaming services like Spotify, Netflix and internet banking services which are protected by security software, it is not possible to measure performance. They need another solution. UX Robot for PC provides a Packet analytics as well as a streaming MOS analytics. It measures the same as user’s web browsing activity, because it uses a real web browser, not the browser emulation. Since Smartphones set to become the fastest spreading technology, it brings together the quality management and the app performance analytics. There are two types of the smartphone applications: A hybrid app is a mobile app that contains a web view to run a web application inside of a native app vs. Native apps are written in a programming language specific to the platform they’re being developed for. There is a definite distinction in measuring technology between the native and the hybrid way of development. you can record and save a user’s touch gestures and individual screens to construct the usage patterns in it. And it allows you to measure and perform analytics for both hybrid apps and native apps. UX Robot for Mobile and its Scenario Studio has a top rated accuracy, and you can also use same scenarios in different smartphone devices. UX Robot for Mobile provides the same level of additional analytics based on Packet so that you can apply to the broader range of services. Today’s “Web / App performance measurement” methods are changing. We must define user’s action flow first and then measure the web/app performance accordingly. 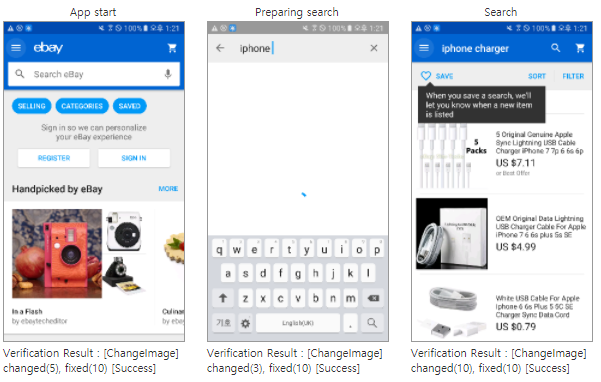 UX Robot can reproduce same user’s action like user’s shopping process on the internet. With Scenario Studio, you can easily and quickly create scenarios suitable for your service and monitor 24/7 using the UX Robot from anywhere in the US. 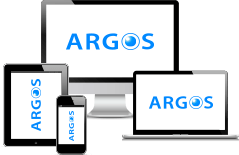 THE NEEDS FOR ARGOS Raising your conversion rate by using Google Analytics and ARGOS UX Robot.